A new surveillance scheme has been launched to understand the prevalence of Strangles within Britain’s horse population. A year in development, the Surveillance of Equine Strangles (SES) project is providing vital information to help vets and horse owners understand where outbreaks occur, how Strangles is spread and ultimately reduce the impact of this highly contagious disease. The project has been has been launched by the Animal Health Trust (AHT), in collaboration with the Universities of Liverpool and Melbourne, and made possible with funding from the Horse Trust. Strangles is an upper respiratory bacterial infection of horses, and was first reported 750 years ago, with cases and outbreaks of Strangles still seen worldwide. 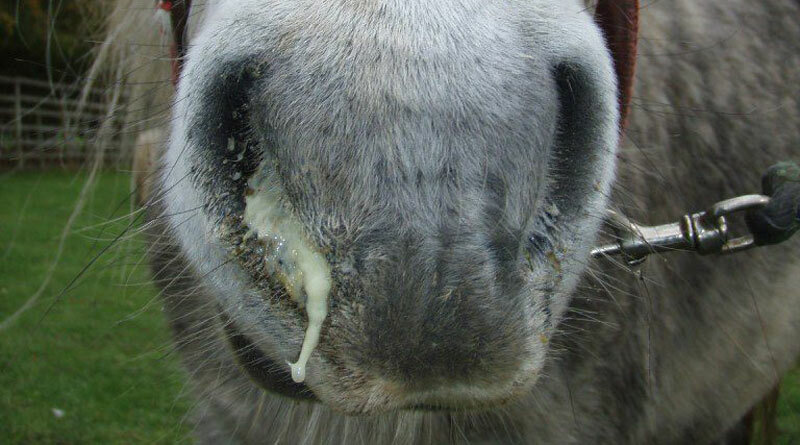 Horses with this disease typically develop fever, nasal discharge and abscesses in the submandibular and retropharyngeal lymph nodes with recovery usually taking 4 to 6 weeks. But some horses that appear to recover can remain persistently infected. These apparently healthy horses carry and spread the infection to other horses on a yard or as they move around the country, generating new outbreaks. Alongside the health and welfare implications of Strangles, outbreaks are costly to owners. Improved knowledge of where outbreaks occur and how Strangles spreads through horse populations would allow vets and owners to introduce measures to reduce the spread of the disease. The Surveillance of Equine Strangles project allows diagnostic laboratories from across the UK to report on positive diagnoses of Streptococcus equi, (the bacteria responsible for Strangles infections), providing a picture of the extent of the disease within the UK horse population. During 2018 the project collated new information on how vets diagnose Strangles. There were 284 reported positive Streptococcus equi diagnoses from samples submitted by 108 veterinary practices across the UK. By mapping this information, hotspots of Strangles were identified in Staffordshire, Northumberland and Hertfordshire. Fifty-six percent of diagnoses were from vets sampling horses that were clinically ill or directly suspected to be suffering from Strangles. However, 34% of positive samples were recovered from horses that were outwardly healthy carriers, being screened either post infection or after receiving a positive Strangles blood test (iELISA) result. By identifying and treating these carrier horses, vets are able to “break the strangles hold” by preventing new outbreaks that could affect many more horses. Further findings are shown in the graphic below. Horse Trust CEO Jeanette Allen said the trust had been funding Strangles related research at the Animal Health Trust for several years. “This partnership allows for the ongoing fight against this disease to continue. Allowing vets and horse owners to better understand where infection risks are highest and helping scientists to understand how the disease spreads across the UK, are both key outputs of SES. Strangles is a curable, albeit highly unpleasant disease and this project will help debunk mis-information and stigma and ultimately work to protect horses from Strangles. This is something The Horse Trust is immensely proud to be an integral part of,” Allen said. The Surveillance of Equine Strangles scheme is also receiving support from organisations throughout the UK equine industry. They include BHS Scotland, and the organisation’s National Manager Helene Mauchlen said “knowledge is power when you are dealing with something as unpleasant as Strangles”. “Sadly at the moment, in spite of all our efforts, the prevalence of Strangles is not decreasing in the UK. That is why SES is so important. It gives people the confidence to talk openly about, check, and monitor this disease, in turn helping to destroy the stigma,” Mauchlen said.